Requiem for Slurp. What lessons do the collapse of a glitzy online wine retail website have for UK independents..? A couple of years ago, I carried out a little research among UK independent wine retailers asking them what concerned them most in terms of competition. The most widespread fear at the time seemed to lie in the form of one company: Slurp.com. A pure-online business with ambitions to offer a comprehensive range of wines (it claimed to be the “largest online retailer”), it seemed to offer everything that all those indies would have liked to be able to do themselves. Mr Howard may look back on that comment ruefully. Today, his UK business has collapsed and been sold by the administrators, along with what Greg Shaw, commercial manager of the purchaser, EH Jones, described – in another Drinks Business piece – as “a small amount of wine for immediate delivery”. Without any inside knowledge, my instincts are that this is yet another story of wine-loving, and dare I say, romantic, investors imagining that wine retailing in the UK has more to offer financially than it does. Simon Baile, briefly owner of Oddbins can fairly be accused of romanticism in the ways he both purchased the chain from Castel its French owners, and subsequently ran it into the ground with debts of £20m. But almost none of those accusations were made at the time. Even today, a search on Google reveals a wealth of unquestioning articles about how Baile was going to rescue the company. 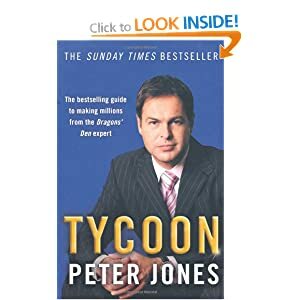 Whether Peter Jones, the Burgundy-loving entrepreneur best known for his appearances on the UK Dragon’s Den series, was romantic in backing an online venture called Gondola Wines is not clear. Today, the business has been rechristened yourfavouritewines.com and is very clearly focused on competing head on with the supermarkets. Brands are very much to the fore (as in supermarkets, or even more so) and the only Burgundies Mr J will find there for his delectation are exclusively Louis Jadots. Angela Mount, the canny former Safeway buyer Jones chose as the website’s buyer certainly is a realist – as many suppliers can attest – and the 50%-off discounts and big-brand £5.49 bottles offered on the site are clearly aimed at people who usually do their shopping in supermarkets. Quite how successful yourfavouritewines.com has been is another question, however. Few I imagine would use the term “online wine megastar” that appears on a 2010 news post – the most recent I could find – on Jones’s PJ MEDIA website. So who should the independents fear? Apart, of course, from each other. First and foremost, there are the people about whom Jeremy Howard of Slurp was so dismissive. UK supermarkets are doing very well thank you with their online businesses. The UK’s “largest” online wine retailer was not Slurp, whatever the collapsed firm’s Google listing may still say, it’s Tesco. M&S have built a strong online business – selling branded wines that are not available in the shops and Waitrose is also a far better place to shop on screen than in the flesh. And now, Morrisons has joined the fray – with wines like Trimbach Alsace, Laroche Chablis and les Ormes de Pez Bordeaux and an innovative “Taste Test” programme devised by Bibendum. They should also fear the steady growth of Majestic – both on the street and online – and traditional mail-order/online businesses such as Lathwaites, the Wine Society and Naked Wines. Of these, Naked is particularly interesting in the way that it has convinced customers that they are buying more or less directly from small producers. The way that the company funds its smaller suppliers is undeniably original, as is the use of social media, and its highly successful live events. Much of what Naked Wines does is, however, very comparable to its competitors Laithwaites’ and the Wine Society’s tastings are well attended too, as of course are Tesco’s brilliant;y successful Wine Club events. Botter, supplier of many of its Italian wines is also the name behind similar numbers of that country’s reds and whites in, yes, Tesco. The £40 Naked Wines vouchers that fall out of your Amazon parcel are not that different from ones you might have seen from Virgin. Finally, however, there is another little threat they might like to consider, in the shape of firms like Vintage Marque. If you haven’t heard of this young UK specialist, you might be impressed by some of the producers on its website: Guigal, Torres, Torbreck. Warwick Estate, Bouchard Père et Fils, Barbadillo, not to mention, Cockburn’s, Dow’s, Graham’s and Blandy’s. The clue to Vintage Marque lies in those last three brands – all of which belong to the Symington family which also owns a well-respected wholesaler called John E Fells. In other words, one of Britain’s top wholesalers now has a retail arm. Fells doesn’t undercut the retailers who sell its wines – in fact its prices are among the highest on wine-searcher.com – but let’s face it, when someone buys a Guigal Côte Rôte from Vintage Marque, they’re not buying it from an independent retailer. I’m not saying that a flood of wholesalers are going to follow in Fells’ footsteps, but I wouldn’t be surprised to see at least a few… And what I am saying is there are some salutary lessons to be learned from the failure of such widely touted recent UK industry players as Simon Baile and Jeremy Howard. If I were an independent retailer in the UK today, I certainly would be a lot more worried about online retailers with a human dimension like Naked, and about Tesco Fine Wine and the way that it and the other supermarket online offerings evolve, than about the Slurps of this world. Jonathan Hesford wrote on Facebok What you write is true. The British market is pretty much divided into three sectors. Supermarkets who focus on casual shoppers and fake discounts, big mail order/online clubs who focus on “a little knowledge” and bogus wines and independents who focus on wine enthusiasts and relatively unknown wines. Each player generally fears other players in their own sector, not in other sectors. Although they all try to gain custom from the other sectors. Peter Richards wrote on Facebook Interesting piece, Robert, thx for posting. The Sampler is a VERY different model to Slurp. I love it too, but I'm not sure how scaleable it is – any more than I can imagine opening a chain of Vinoteca wine bar-restaurants. I'd say that the Sampler fits directly into my first point – of indies having to fear other good indies: I wouldn't want to be a less interesting Kensington wine retailer along the road from the Sampler. Not precisely Mark. My point is that if you can combine convenience and quality you can score. I have reservations about Nespresso, but the coffee tastes good and reliable and it's as simple as instant. Or nearly. The wine industry revels in being inconvenient. From the need for a corkscrew downwards… And a lot of the inconvenience has nothing to do with the quality of the stuff in the bottle. Chris Kassel Bears replied on Facebook ??? I thought it was the Pope. Chris Kassel wrote on Facebook Also a lesson for the caffeine industry, which is why I have patented a smokable form of coffee. Crystalline, fully-legal crack caffeine. All the uplifting energy buzz without having to go wee-wee every ten minutes. @winematcher @robertjoseph @NakedWines some of us indys dont fret about our websites, we like to drink with our customers. Much more fun!some of us indys dont fret about our websites, we like to drink with our customers. Much more fun! @winematcher @robertjoseph wrote on Twitter Great piece Robert. Naked Wines held very differently in the view of its customers vs Slurp though I suspect. @robertjoseph @mattwallswine @winematcher The most successful independents in last decade succeeded because they knew not to compete with the supermarkets, but to simply provide the best possible experience (and selection) the idea of the supermarkets actively taking them on on their own ground is scary, but I’m not sure Tesco and the like are willing to scale down enough to do so… Bordeaux 09 easy as a lot of wine produced. But small, limited cuvees? don’t think they can go there… and hope they won’t… Ah, but no margin in wine retail. Bet on market share at expense of profit is what sank Slurp. Excellent piece, Robert. Irrespective of one's wine preferences, the wine sector is business. It's just often not run like one. Your point about the romance of wine is underplayed. There are far too many examples of Indies focusing on the fine wine market, and failing. Just to add to your examples, remember a certain Lot (which will remain nameless) of business that tried to import a wine commerce model into the UK… How long did that venture last? As you've regularly stated, Robert, the UK market is dominated by large retail. This coupled with abundant wine choices by country have made the UK consumer particularly discerning when it comes to seeking a purchase of good value. They now don't need to (and mostly don't want to) learn about whether an unknown Sonoma Valley Chardonnay at 8 quid is better value than a 9 pound Santenay from a different year. Essentially, they trust the retailer enough to believe that the wine will be good enough, so they choose on price. The wine sector has contributed to the demise of independents by insisting on making every offer as incomparable as possible in the last 35 years. Thus, the average wine consumer is overwhelmed by the prospect of evaluating which offer is better, and then reverts back to what they know. In the end, the evaluation eventually becomes about price. Independents regularly decry the consumer's lack of interest in evaluating the wine sector's offers, and proudly respond by stating that they'll only cater to the fine wine segment. Sadly, the sums in that segment don't add up. There just isn't the demand. Additionally, the wine consumer in the fine wine segment, paradoxically, expects better value, just at higher average prices. So Indies then have to provide more service and better information, for a small segment of consumers, who will pay more, but expect even more in the consumption experience in return. I'm sure that we'd all like to only buy wines at our favourite independents. The romanticism of working in an indy wine story is a nice thought, but try to think about the viability of the independent model the next time you hear your wine-lover friend talk about how “I know the owner of that estate, and I can get it a bit cheaper than that “. There's a market for them, but it's just not that big! Thanks Jonathan. And as I say, bear in mind the way that companies can shape-shift. Tesco could own a chain of wine shops, just as it now owns a chain of garden centres (Dobbies) and family-friendly restaurants (Giraffe). I've seen the same thing – and been similarly impressed by the enthusiasm of the attendees. Thanks Richard. We'll see. Small limited cuvées may well remain the preserve of indies in the UK – but Costco has showed that it can buy – and sell – those kinds of wines in the US. Perhaps one of Slurp's mistakes was to rely heavily on on-trade suppliers' wines for their catalogue. Wines that are a hand-sell with sommeliers, let alone from a simple web-based interface. That and the fact they were often operating at 10%GP; a fact I often pointed out to my suppliers – not good when an account can buy from Slurp (inc VAT) at a lower price from said supplier's DPD (ex VAT) list. Thanks for a great response Damien. It's also interesting to see that Jeremy Howard is now running Slurp Hong Kong. a) there are around 1000 serious independents few of whom can buy significant volumes of any wine. To sell a bottle a day of any premium wine would be extraordinary – but that would only represent 25 cases. d) Indies are financially far from stable. Late payment and bad debts are a major issue. Not undercutting the trade customer is key – as any sensible winery with cellar door sales knows.